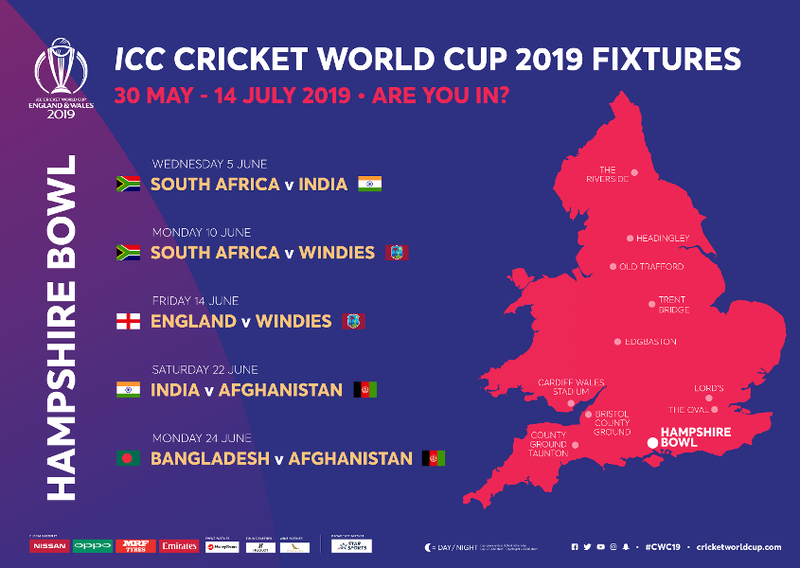 Hampshire's home ground will host five ICC Men's Cricket World Cup 2019 group fixtures. The Hampshire Bowl will host an ICC Cricket World Cup fixture for the first time in 2019. It won’t be the first time that Hampshire has hosted World Cup cricket though, as fixtures in the 1983 and 1999 editions were played at the old Northlands Road Ground in Southampton. The Hampshire Bowl, home of Hampshire County Cricket Club, was opened in 2001 and sits on the outskirts of Southampton on the south coast of England. It has hosted international fixtures in all three formats, including the first ODI held between South Africa and Zimbabwe in 2003. It was also home to five fixtures in the 2004 edition of the ICC Champions Trophy. To find out more about the accessible facilities and services at the Hampshire Bowl, check out the CWC19 Access Guide here. Plan ahead so you can make the most out of your day at the Hampshire Bowl during the ICC Men’s Cricket World Cup 2019. For those travelling by car there is a large easily-accessed Park and Ride facility run especially for international cricket matches held at the Hampshire Bowl. The Park and Ride is located on Wide Lane, which is easily accessed from junction 5 of the M27. There is also a designated drop-off area and separate pick-up areas for taxis and private vehicles, as well as the on-site taxi booking facility. A free motorcycle and bicycle parking facility is available at the ground, please follow direction from the traffic marshals. For information on accessible parking and coach parking, please call the Hampshire Bowl on 02380 472 002. The booking system for the shuttle services and the Park and Ride facility will open soon. Hampshire is one of the largest and the most populous counties in England with 1.84 million residents and found on England’s sunny South Coast, just an hour’s travel from London. 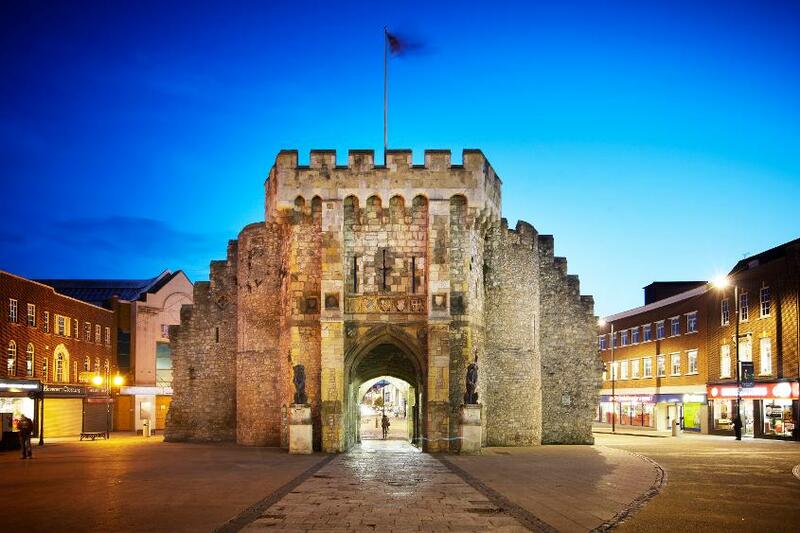 Whilst the county town of Hampshire is Winchester, its two largest cities are Southampton and Portsmouth. Hampshire is one of only two counties to have two National Parks. The New Forest National Park has an abundance of family friendly attractions, including the National Motor Museum at Beaulieu, plus cycling, water sports and horse riding for those looking for something more active. The rolling South Downs National Park is filled with pretty villages, market towns, vineyards and is a great place to explore on foot or bike. Visitors are spoilt for choice in places to stay, from 5-star hotels with luxurious spas, to boutique establishments in the cities, upmarket pubs with rooms, and a wealth of self-catering properties. Southampton is famous as the departure port for the Mayflower and Titanic and its importance as a maritime city lives on as Europe’s largest cruise port. Leading museums, art galleries, theatres and shopping destinations provide a wealth of entertainment. The city is also blessed with some of the most complete medieval walls in the country. Historic Winchester is the former capital of England and its cathedral is the final resting place of Jane Austen, Hampshire’s most famous author. King Arthur’s Round Table in the city’s Great Hall is also popular with visitors from around the world. Portsmouth is the traditional home of the Royal Navy and where Admiral Lord Nelson’s 18th century flagship HMS Victory and Henry VIII’s Mary Rose can be visited. Charles Dickens was also born and raised in the city.